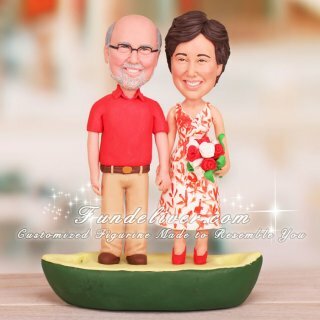 This is a completely customized funny anniversary wedding cake topper ordered by one of our customers. They would like two of them to be in the green canoe holding hands. She is in the red and white dress as above image, wearing a pair of red high-heel shoes and he is wearing a red polo shirt and Khakis with brown shoes. Looking for funny anniversary cake toppers? We can make it! 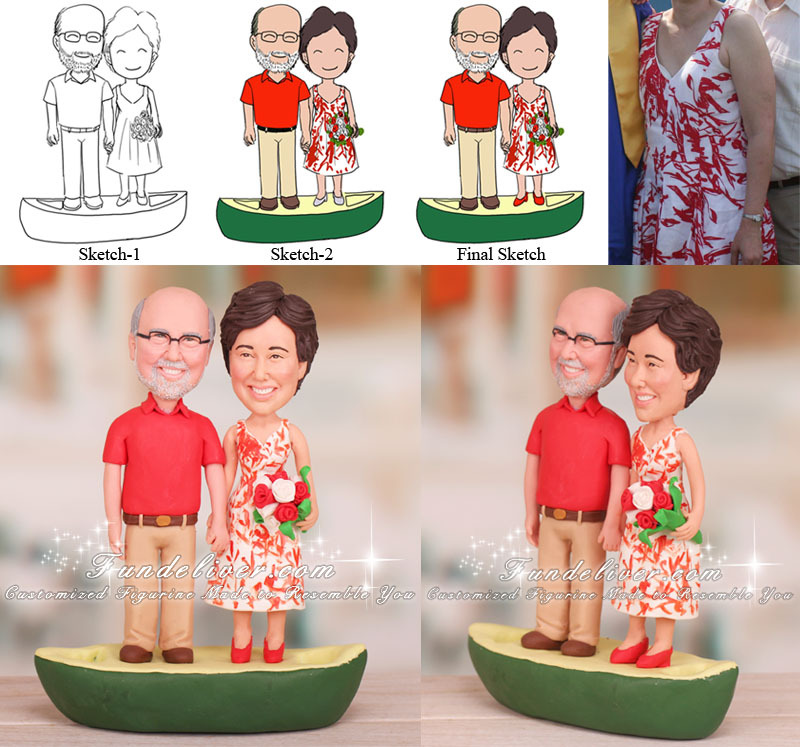 Just send us your ideas and reference images, we can sculpt the very unique funny cake toppers to match your personalities and interests.